Another odd Ritter photo. Airliner that is distorted or huge oval craft with out wings? 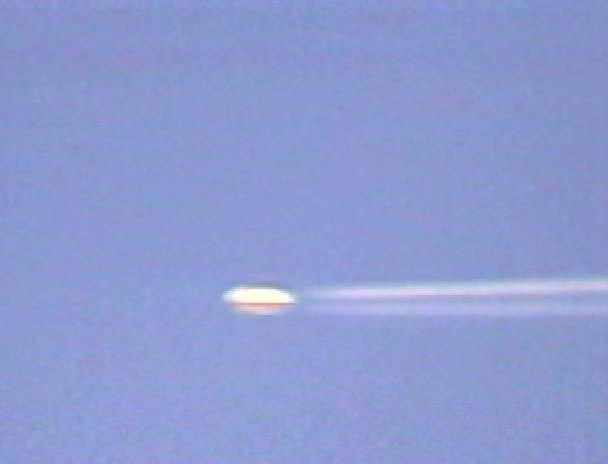 Many have reported contrail type of emissions from ufo shaped craft.